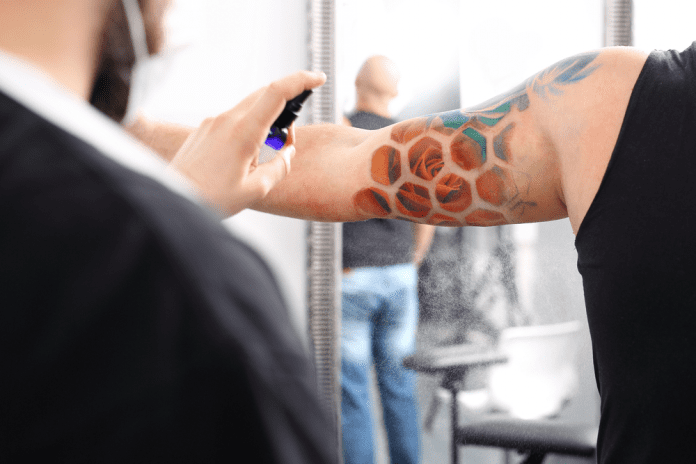 Tattoos are becoming part of mainstream fashion. It is becoming more and more common to see a person tattooed. Many people who get tattoos choose them because of a particular person or a situation that marked them emotionally and now they want to have that mark on their skin for life. Other people just think they look great. They look for designs that catch their attention and that are worthy of accompanying them for the rest of their lives. Generally, this taste for tattoos begins in adolescence. Young people often struggle with their parents to get their approval and money for tattooing. Many even use the tactic of tattooing their own mother’s name in order to minimize reprisals, and from there the addiction begins. Your favorite tattoo will always be the next one, and you’ll feel like you will never have enough tattoos. The increase in demand has led to more and more people to get involved in this world. There are many people who progress from the desire to get a tattoo for themselves, to dreaming of making tattoos for others. As the number of tattoo artists has greatly risen, the quality of tattoos also increased immensely. Of course, as in all businesses, there are good and bad artists. For this reason, it is essential that when you decide to get a tattoo, select the best artist so that you can make sure you get what you want. It’s important to remember that getting a tattoo is more than selecting the right artist and putting up with some pain. You’ll have to care for your tattoo properly so that it looks its best. Here are some tips. The most basic care is what should be done when it is freshly made. Protect it with plastic during the first hours and then wash it with clean hands and warm water once or twice a day. More than just taking care of the tattoo, you’re also taking care of your health. During the healing period that lasts 10 to 15 days, healing should be promoted by helping the skin with the use of creams and avoiding tight clothing in the tattoo area because it’s important to allow the skin to breathe. Finally, in the following days, you should keep it moist with the use of creams, avoid the sun and humid places until it completely heals. Take a bath immediately after exercising and sweating, use sunscreen, and in case that any crusts are formed, never remove them, because by removing part of the crust, coloring could be detached and it will make your tattoo look faded. Next articleWhat Does a Semicolon Tattoo Mean?